The traditional Bat Trang ceramic village in Gia Lam district, Hanoi, which has undergone 800 years of development, has affirmed its position and brand name in domestic and foreign markets. 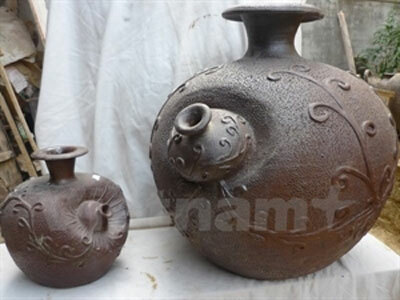 Bat Trang ceramics are a pride of Hanoi. In 2011, the municipal People’s Committee approved a detailed plan to preserve and develop the craft village in connection with tourism development. A market to introduce Bat Trang ceramic products was also established, helping to intensify craft village promotion. The market has become an ideal shopping destination for foreign visitors. From the end of the Tran Dynasty to the beginning of the Nguyen Dynasty, a large quantity of Bat Trang potteries were shipped to Japan, Malaysia, Thailand, Spain, Portugal, Holland, the UK and France. In recent years, the village has greeted over 10,000 international tourists and more than 50,000 Vietnamese tourists per year. However, artisans in the traditional craft village are facing difficulties in seeking markets for their products, especially foreign markets. 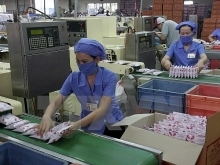 According to Ha Van Lam, a representative of the Bat Trang craft village, about 80-85 percent of local products were exported to foreign markets in 1990-2000 but the figure dropped remarkably after 2005. The situation is attributed to economic recession, slow renovation in improving product models, severe competition in the markets and unprofessional operations of local households and businesses. In such a context, municipal authorities and local residents have been making every effort to recover the long-standing craft village. Famous local artisans create ceramic products bearing their personal stamp which are attractive to a great number of customers. Local pottery makers are focusing on expanding domestic markets while seeking foreign partners. Additionally, they are also paying attention to applying new production technologies, innovating models and improving the quality of their products in order to meet the increasingly demanding requirements of customers. According to statistics from Bat Trang commune, the locality’s annual revenue from the ceramic industry reaches nearly 400 billion VND (18.34 million USD), contributing substantially to local socio-economic development. In order to promote the development of the craft village, a specific direction and more support from municipal authorities and relevant agencies are needed./.